Milwaukee Personal Injury Lawyer | Casey Law Offices, S.C. When you've been injured, you need answers. You need to know who is responsible for your medical bills and how to obtain full compensation for the damages you have suffered. No matter how serious your injuries, the Milwaukee personal injury lawyers at Casey Law Offices are here to help. At our injury law firm, we focus exclusively on prosecuting injury claims and are committed to holding negligent individuals and businesses in Wisconsin responsible for their mistakes. Insurance companies have deep pockets and are able to hire some of the best defense attorneys who will try to deny or minimize your compensation. Have our team at Casey Law Offices level the playing field for you. 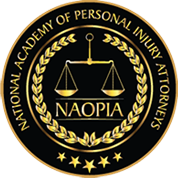 Our lead Milwaukee personal injury attorney is an award-winning, trial-tested advocate with more than 25 years of proven experience. We won’t let insurance lowball you by going for the quick and easy settlement, and then simply collect our check from you. We will fight for the fair compensation you are owed. We take cases on a contingency fee basis, so there are no upfront or out-of-pocket fees to worry about. We only get paid if you do. Learn more about your rights and what we can do to help you seek justice after an accident. Call (414) 272-3776 or email us today to schedule your FREE case evaluation. Your recovery is our priority. Milwaukee personal injury lawyer John Casey has the trial experience that many attorneys simply don’t have. 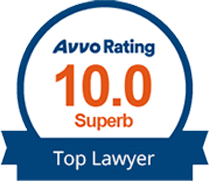 Prepared to advocate for you and win in even the toughest legal arena, Attorney John Casey has a perfect 10.0 Superb Avvo Rating for his experience, results, and professionalism. 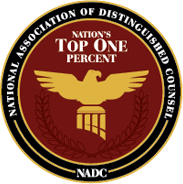 He has even been included in the Nation’s Top One percent by the National Association of Distinguished Counsel. Our personal injury law firm is a legal powerhouse. We get results for clients. Utilizing our 25+ years of proven experience and results, we offer the exceptional, high-caliber advocacy that you need and deserve.